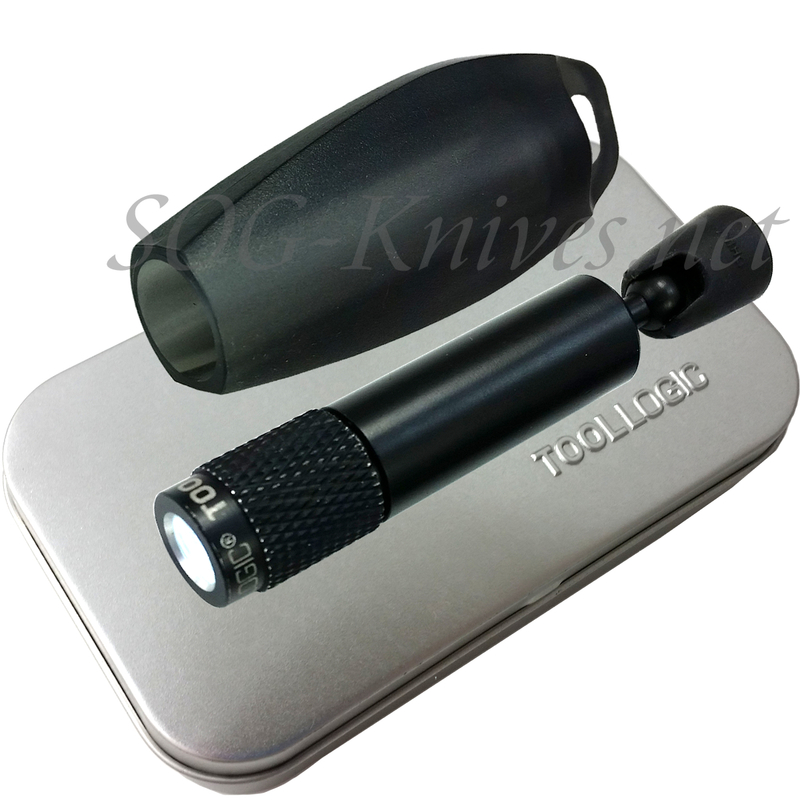 Tool Logic Magnetic Light Translucent Black ML2-T is an LED Flashlight and magnetic pickup all in one on a key chain. This is a brilliant white LED Flashlight that is waterproof for shallow immersion and for wet environments. It uses four 1.5 Volt button cell batteries- LR41. It comes with these batteries and is in a silver gift tin. The other side has a powerful magnet pickup for small items and also to help with hand free activities. Place the magnet on a surface that will hold it, then the flashlight can shine on the activity you are working on. Own a Tool Logic Magnetic Light ML2-T? Tell us how you like it! Got a question? Ask! Somebody will answer!